Do the quality of pictures you are sharing do your brand justice? Do the images match the quality of the product or service you offer? It is important to make yourself visible through images across your website and your social media. Make sure they are of a high quality - great photos will help your business to shine. Your brand is only as strong as your weakest element. You can have a fabulous brand design, but don’t let it down with poor photos! Images let your audience know that you are serious about your business. owners to learn to take great images. 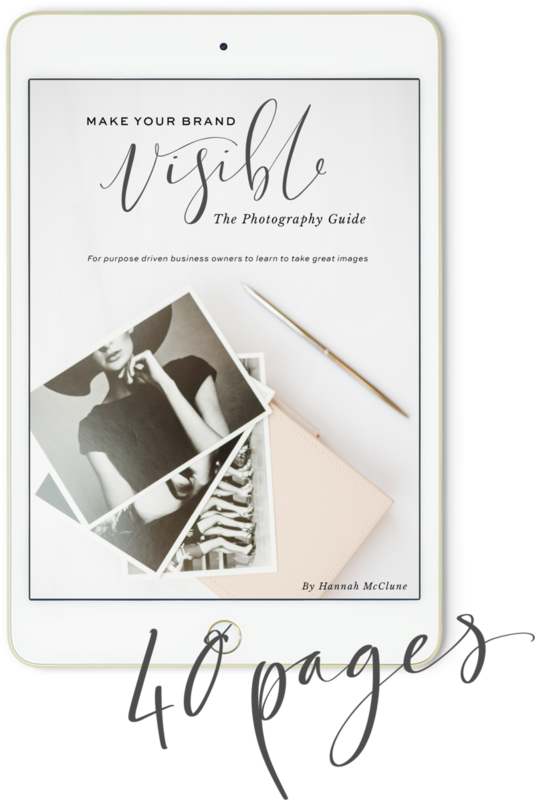 Be empowered to take photographs that attract your dream client. 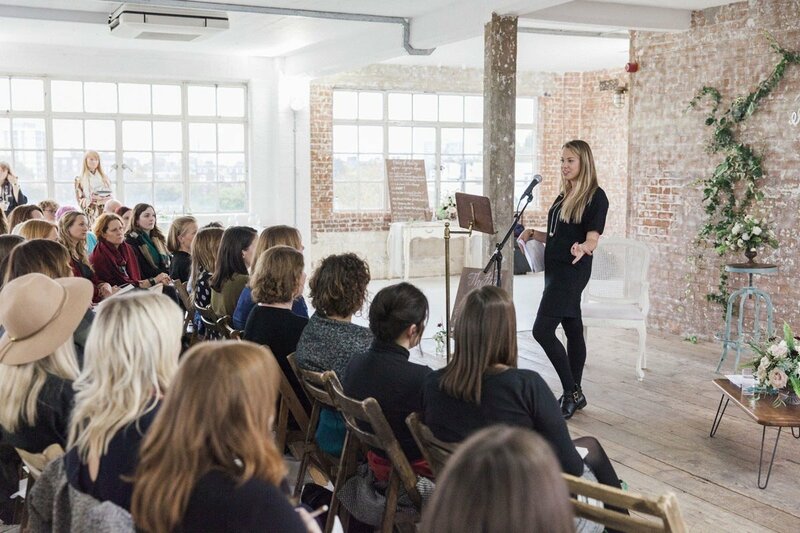 If you are a driven, small business owner – then this will help you to become visible to your audience... resulting in you attracting more of your favourite type of customers. During almost every brand shoot I get asked ‘how can I take better photographs?’. The guide will answer this and take you through the steps to capture great images. ‘Make Your Brand Visible’ is for people that don’t procrastinate, they know how to grow their business and they go for it. Is that you? If so, you do not deserve to be held back by inferior images. Your work is great, the quality of your photos should reflect that. I started my photography business in 2011. The most important thing to me, is that the pictures authentically reflect each business and appeal to their target audience. 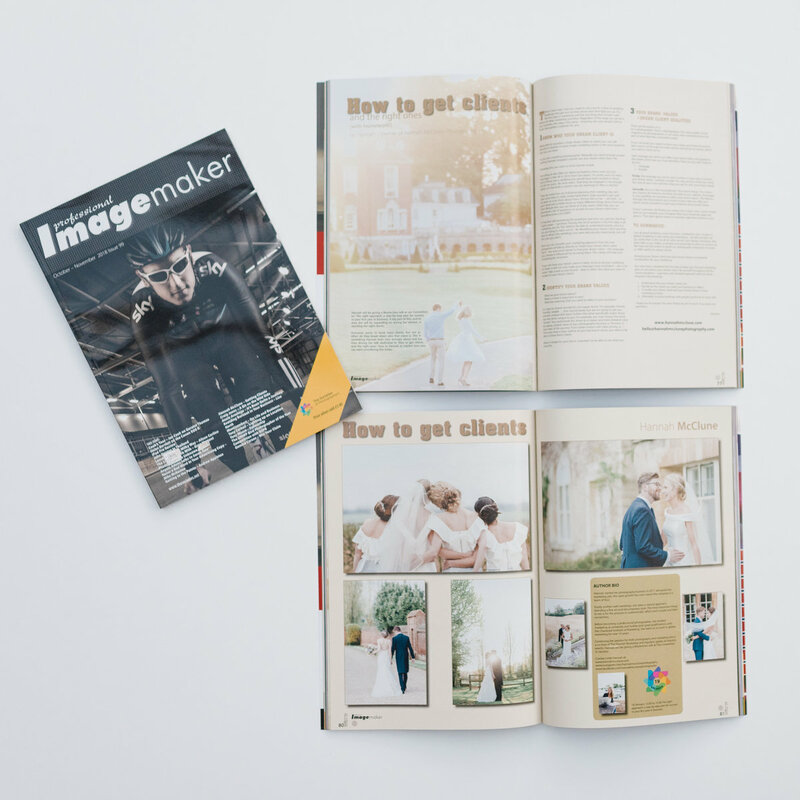 Before becoming a professional photographer, I went to Bristol to study marketing at university and further post grad qualifications with the Chartered Institute of Marketing. I then went on to work in global marketing for over ten years. writing for industry photography publications and speaking at industry events. The guide is made up of five main units to cover the key topics needed to start taking better photographs today. • How to light your image- natural light inside or outside and artificial lighting. • Help choosing your camera and lenses. • The techie bits made simple to achieve perfect exposure. • How to make a photo ‘feel’ right. • Depth of field- get the blurry background! • Tips on styling and photographing the perfect flat lay. 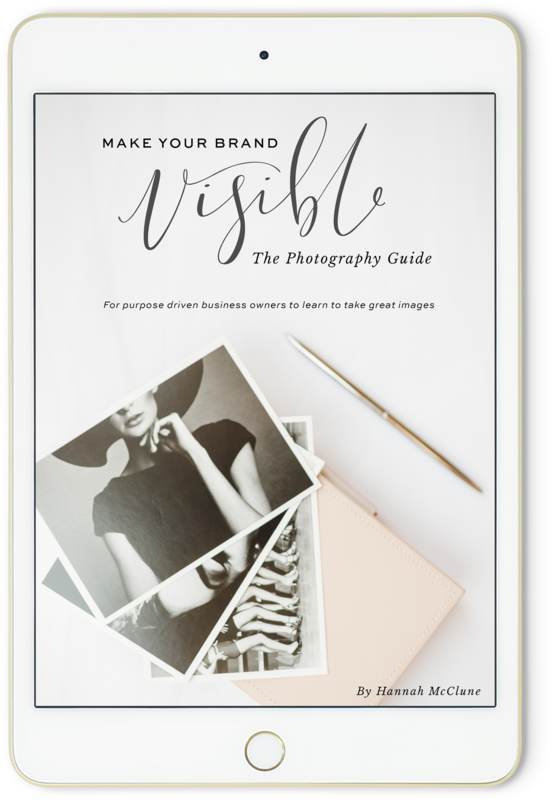 What is in ‘Make Your Brand Visible: The Photography Guide’? You can have a fabulous brand design, but don’t let it down with poor photos! Images let your audience know that you are serious about your business. ‘Make Your Brand Visible: The Photography Guide’ is for purpose driven business owners to learn to take great images. Is that you? If so, you do not deserve to be held back by inferior images. Your work is great, the quality of your photos should reflect that. 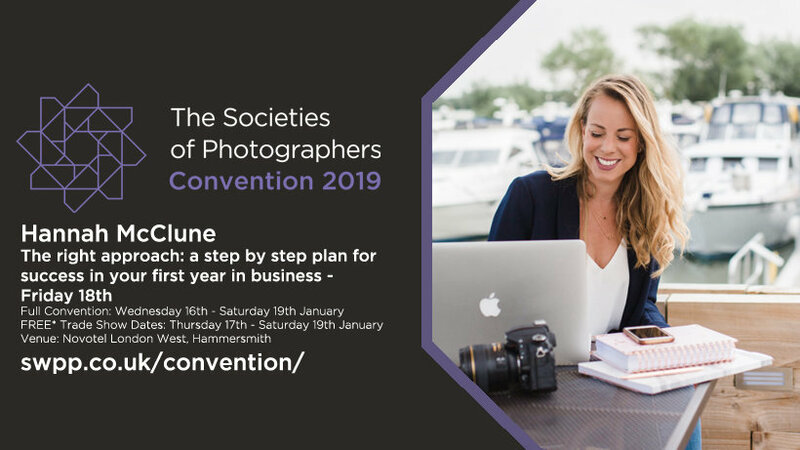 The combined passion for both photography and marketing has led to me co hosting The Flourish Workshop for photographers, writing for industry photography publications and speaking at industry events. • How to light your image- whether that’s finding natural light inside or outside, or using artificial lighting.